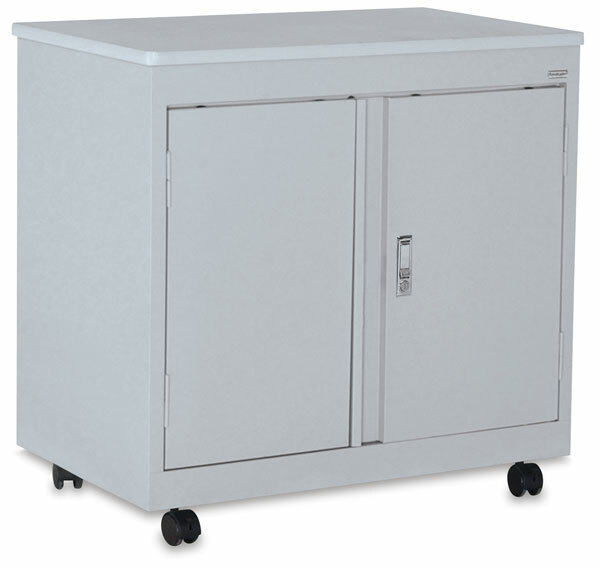 Store art supplies securely in this convenient, desk-height cabinet. It features a durable, light gray laminate top and full recessed door pull. Two storage areas secure with a cam lock. Built to last, it is constructed of welded steel with a dove gray finish. 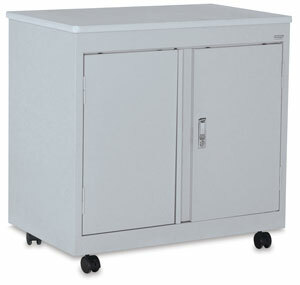 Roll it anywhere on four casters, two of which are locking.